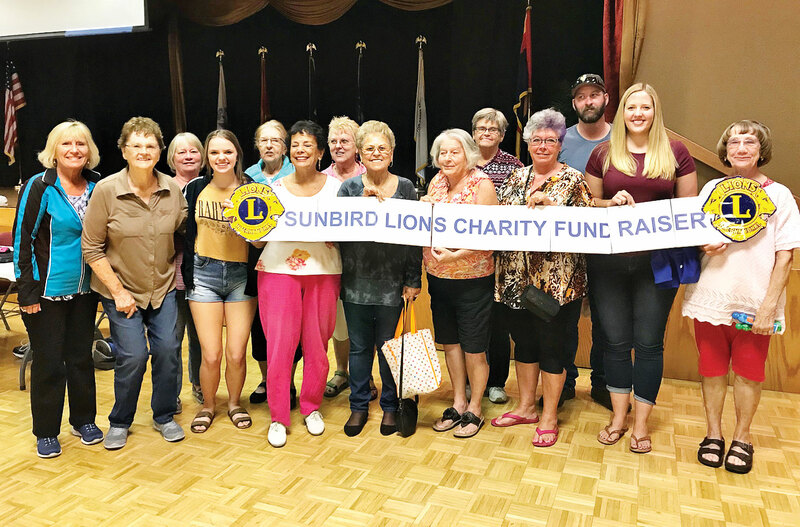 The SunBird Lions Club hosts a Bingo Night the first and third Friday during the months of November through April. During the Bingo games, coffee, water, cookies, brownies and a variety of chips are available for a small donation. The last Bingo Night was November 2, 2018, in the ballroom of the SunBird Recreation Center. Fifteen games are played with a variety of strategies. Bingo is open to players 18 years of age or older for both residents and non-residents. These Bingo Nights are put on by the SunBird Lions Club to raise money for the charities they support. One specific charity this year is to assist the HOA with the installation of a handicapped door for the Post Office. On this Bingo Night, there were 76 players present. Congrats to the winners for November 2. They were Dorothy Mills, Judy Chabin, Kyndall Price, Carol Welsh, Jeanne Capeloto, Rosemary Helnemey, Kay Schroeter, Kyle Badgley, Marta Poykko, Floy Feltmann (the jackpot winner for $137), Joyce Dougal, Ashley Aylward, Pat Seabert, Donna Kleinon, Mona Rice, Linda Hearn and Yvonne Belonex. Come join us for the next Bingo Night, December 7, 2018. Bingo sheets can be purchased during the half hour of 6:00-6:30 p.m. First game begins at 6:30 p.m. We welcome and invite new players to come join in the fun.